When people think of generators they often think of loud machines that put off noxious fumes. This does not seem to mesh with the quiet, peaceful experience that campers expect when setting out into the woods. Fortunately, with advances in technology and increased demand, it is easier than ever to afford a generator that is right for the camping experience. It’s not uncommon to think of those that use a generator while camping as not truly experiencing the joys that come with becoming one with nature. However, you really can still greatly enjoy being outdoors and have a power source at the same time. The key is finding the generator that is right for your individual or family’s needs. The first thing you will want to consider is the amount of power that you will need the generator to supply. For example, if you simply desire to keep your smart devices charged you likely do not need to purchase a generator, but instead can opt for a battery operated power supply. However, if you would like to power a fan or heater, or possibly more, you will want to take the time to do some math. Take a look at the information panel on all of the electrical devices that you wish your generator to power. On the information sticker there should be a section that details the amount of wattage the device uses each hour. If you are not familiar in how to convert this to determine the power you need your generator to supply there are a number of easy conversion tools that can be found online. The key is to be sure that you include everything that you wish to power and get a generator that is able to provide relatively more power than you think you will need. You will also want to consider the rules in the area that you will camping. Many campgrounds have strict noise restrictions. In this case you definitely will not want to use a gas generator. Even if there are no rules against using noisy generators you will want to consider the fact that such generators can be a disturbance to wildlife as well as any neighbors that are nearby. Additionally, gas generators are well known for putting off noxious fumes, which are harmful to the health of those in the area. A great alternative to this is to purchase an electric generator. In the past they were out of the reach of average campers due to their cost. However, with a higher focus on energy conservation and an increased interest in outdoor living, they have become quite reasonably priced. Take the time to do some research so that you can find the electric generator that will supply the power that you desire. Gone are the days of only having gas generators to choose from. While they have great uses, there are now other options that can better compliment the overall camping experience. Compare pricing and options on the 10 Power Up Generator site so that you can find the one that is right for you. Farm equipment loans can be an ideal way to secure an amount of cash from a lender, which can then be put towards particular assets on agricultural land. Getting approval on a loan can be a challenge and that’s why you might want to talk to a friendly team like the advisors at brand – all of which could help you to secure a loan and enjoy the freedom to spend the cash on what you need. But a common question that many farmers have relates to what the money can actually be spent on in the first place. Knowing what farm equipment and machinery financing & loans can help with can be very useful, especially if you want to get the most from your loan. Here’s a closer look at some of the most common things that you might want to buy with the aid of a lender. Some of the most common (and expensive) assets needed on a farm can have their costs covered with a loan – and these assets include vehicles like tractors, transport vans, trailers and machines that are typically used in harvesting. Regular cars can be pretty expensive, but larger vehicles used on farms and for agriculture can often cost several times more; making an equipment loan to cover these costs all the more appealing. Most farmers will want to mark their land as efficiently as possible; in fact, in many parts of Melbourne it’s required to ensure that any agricultural land is protected, whilst keeping the general public safe from machinery and animals. Small fences might not be hugely expensive, but as many farms will go on for acres; the costs can quickly mount up. With a loan, these expenses can be minimised initially, whilst allowing the farmer to repay what they owe over time. Animals can be a vital part of any farm – but they will also need to be controlled in most cases for their own safety, as well as the security of other animals and people around them. Larger animals can require larger pens and there are many instances whereby entire structures will need to be erected to properly house certain animals (such as horses, cows and bulls). With an affordable loan found with the help of a broker, the costs of your repayments could be minimised, without sacrificing on the amount that you can comfortably borrow. Any farmer with livestock will understand the importance of food and resources to keep their facility afloat. Without food, animals can suffer and this is the last thing that a responsible farmer will want. With a flow of cash from a loan to cover these expenses, a farmer could ensure that their animals remain well-fed and fit for purpose, without having to worry about splashing out hundreds a month of their own money on food for livestock. For most companies these days, commercial storage solutions are a big deal. For many years, companies have continued using the old technology called tape backups to provide a hard copy of data. It’s one of the best ways to ensure that valuable company information and customer data are stored regardless of any outside conditions. A company is obligated in many cases by legalities to hold onto information and to keep it safe from hackers, amoral employees, and other parties. In addition to having to keep it safe, they are required by law or good judgment to treat the data they do have with good care. That means that they are constantly on the lookout for digital commercial storage solutions. While it may seem like a no-brainer to send all the information to the cloud, it is not the best idea. Yes, it is inexpensive and easy. Though, both of those arguments for having cloud storage, unfortunately, make the data more prone to attacks by hackers and other more unscrupulous individuals. That means that while some information can be stored in the cloud, most of it needs to be data backed up on tape even still. While data are a big deal for companies, so are commercial storage solutions for belongings. As companies grow and change, they may want to hold onto or transfer furniture, old computer technology, phones, routers, and anything else that may prove valuable in the future. For smaller and obsolete equipment, a local storage unit facility may play just as good of a role as higher-priced commercial storage solutions. Now, imagine, that you have equipment and tools you love. They cost a good deal of money, and you need to have them stored with concern for being fire-proof, water-proof, within a permanent structure. If that is the case, then be prepared to do some work to find the solution that serves your company the best. For one, you will need to have proper access, the ability to retrieve and store as necessary. Security features are also a big deal for companies, many of whom rely on their stored items for future earnings. Many of their belongings may be proprietary, such as a one-of-a-kind prototype. Such articles are rare, unique, and may fall into the realm of priceless. What that means is that business insurance carriers also need to be factored into the world of business. Such insurers will be able to underwrite policies specific to their clients’ needs. That means that while it may be pricey to store unique and one-of-a-kind items, it may be necessary for the future of the company. Such moves to keep digital and physical assets safe and secure are as important as customer service for many outfits. While that may be the case, it is important to find companies that may support your cause without costing a lot of money. In fact, it is important to compare benefits and prices of working with different storage solutions for industry. Marketing on the Internet is definitely a challenge for a lot of people. However, when people are looking at the way to rank in the search engines they can easily start to see their eyes glaze over at times. That is the bad news, the work can cause the eyes of some people to glaze over. The good news is you will find some relief in site if you know the reasons why you should be hiring an SEO agency to help you in expanding your Internet marketing efforts. Then you can finally have a great marketing plan in place, but know the professionals are handling the marketing for you instead of trying to formulate the plan on your own. A common issue is the website is going to be not ranking in the search engines. While this is a problem that a lot of people will want to overcome, they need to realize it is something that can be overcome. This is when people should know that the agencies only hire the experts that are able to help them in getting the websites to rank. These are going to make it easier for people to get the help they need to have in ranking the websites and know they will finally be able to live off of the income from the website. In some cases, you may be hiring an SEO agency because your company has a bad reputation on the Internet. This may not even be because of a fault of your own, but it could be coming from attacks your company is getting from the competition. Since this is the case, you should know some of the agencies can go through and help clean up the reputation by posting positive links and helping to repair what type of damage was done by the competition who was not happy with the business for outdoing them. In most cases, you will find it is very difficult for you to find a plan to put in place because you are unsure where you should be starting. This is when the experts are going to be able to help out because they will have the tools in place that will help you in getting your website to rank, but also help you in getting the right plan in place. For example, you may think that you need to target the global traffic, but you may learn that you may just need to target your local region to have the growth you need to experience. As you will find out as you are using these agencies you will notice they have a tendency to help you draw visitors from multiple sources. This is something many people overlook because it is going to take time to build up. However, the companies that are doing this type of work will generally spread the links out they are putting out in multiple places. All of these links are going to point back to the website and can lead to traffic coming from those sources. When you are getting some SEO work done, you will find the results are going to be more of a long-term gain. That is because, the marketing with SEO, if done properly, will lead to people getting to see the website for a long period of time. For example, if the company has thousands of links pointing back to your site as long those sites that host the links do not close, it will have a tendency to keep the results over the long-term and even years down the road someone could find the link and still click on it looking for what your company offers. While you may not realize this, the Internet is the way of the future for businesses. In fact, some grocery stores are even having people order and then delivering the groceries to people. This is not to say that it will happen for your business like that. However, this is a marketing method that is going to continue to grow over time. When it is growing it is going to make it a lot more sustainable than what you would imagine in getting the marketing done. Not to mention, this type of marketing is going to continue to grow over time as more people find the website. As a business owner, you know that you have to constantly evaluate your bottom line to see if it is going to work out for you or if you are losing money. When you look at this type of marketing with the agencies you have hired you will notice it takes a little bit of time to get the money back from the investment. However, this is a long term investment that is going to pay you back over time and not have an immediate return like you would get if you run a sale. Bringing your company up to the modern times is a good thing. However, when you finally start to branch out to the Internet you will notice it is very difficult for you to market your company at times because it is going to be a complex type of marketing you may not be used to. Then when you start to unravel the complexities of the marketing you may find that it is going to take quite a bit of time to get the work done properly. To prevent this from consuming your entire time in working on the business you should know more about the reasons to hire an SEO agency. Then you will see these reasons are definitely worth the price for the effort you would have had to put into learning and putting the plan in action. When the running of a business, requires you to have substantial pieces of equipment, arranging the necessary finance for their purchase can often prove to be a stumbling block for those starting a new business. Equipment purchase is capital intensive, and when you can arrange the proper finance it enables you to divert your own resources to the actual working capital, that will enable you to conduct your business. Business equipment finance can be used to purchase both new and used equipment. It can be used to purchase cars, light commercial vehicles, buses, trucks, forklifts, office equipment like printers, copiers and scanners, computing equipment, industrial plant equipment and other manufacturing equipment. Once you have established the viability of your business, you can find any number of lenders and other providers of credit, who will offer to finance the purchase, so that your business is up and running. You can opt to arrange for lease financing, which allows you to use the equipment, while having all the benefits of ownership. In this system of finance, however, the equipment will belong to the lender, and the equipment can be seized by them in case you do not adhere to the terms of the lease. In a finance method, called commercial hire purchase, the ownership of the equipment or vehicle remains with the lender, while you are allowed the use of this vehicle under certain conditions. The hiring period varies from two to five years, and once you have paid the final instalment as agreed upon, the ownership is automatically transferred to you. A chattel mortgage form of equipment finance allows you to borrow the amount needed to purchase the equipment and become an owner of it from day one of the time of purchase. The lender secures the loan by obtaining a mortgage on the equipment. In most of these cases, the buyer will have to provide a deposit or arrange for some part of the purchase price. In equipment rental, another form of equipment financing, the lender arranges to buy the equipment, that you may have the liberty to choose, while you agree to pay rent for its use, for a fixed period rarely exceeding five years. Each of these forms of equipment finance has its own effect on allowable depreciation and costs, and that is why before you decide on any one form of financing, you examine all its likely effects on cash flow and balance sheets. If you are new to the business, take the proper advice from an experienced commercial finance broker who knows all about credit policies and other requirements for equipment finance. Keep your accountants and tax advisers in the picture as they may have their own inputs on tax advantages and depreciation, that can influence your decision. 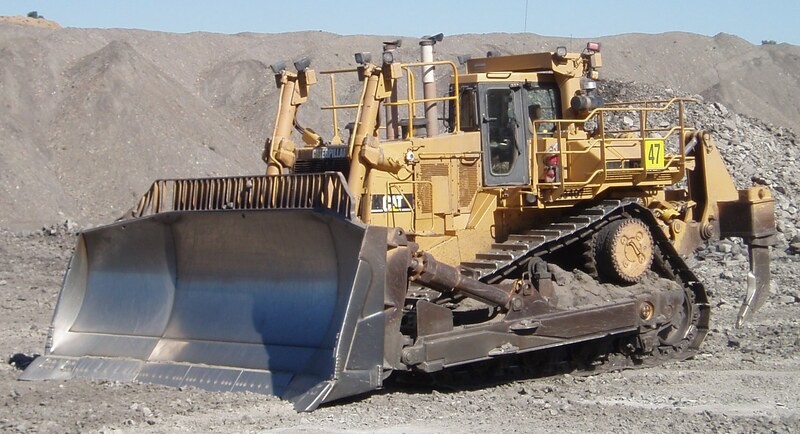 When you are looking for finance lenders, look for those who are experienced with providing finance for the type of equipment that you are wanting to purchase. They may surprise you with their knowledge about equipment that can be of help to you for choosing the right equipment.